How do I follow the status of my application? What stages does my application go through during the review process? You can check the status of your application in the document management system. Your application will start out as incomplete while you assemble all necessary materials. Completion of this step is under your control. Keep an eye on whether we received your electronic scores, etc. Once you have the application fee, CV, statement of purpose (SOP), transcripts, and GRE score (and English proficiency score if international), the application will become complete; under graduate review and will be sent to the Graduate School personnel for a preliminary review. An initial determination of eligibility will be made; typically this is simply a check that all necessary documentation has been received in the appropriate form. The application will then be referred to the Department for a merit review and admission decision. Unfortunately, the departmental review stage may last quite a long time, unfortunately, as we continuously re-evaluate applications in our pool to match available positions in the incoming graduate class. You are welcome to ask for updates, but be aware that we might be unable to specify a date for a final decision. Do not hesitate to contact our Dr. Marco Bonizzoni, Director of Graduate Recruiting (marco.bonizzoni@ua.edu), or our graduate program assistant, Jennifer Eisenhower (jleisenhower@ua.edu), if your application does not seem to progress to the departmental review stage. Some of my scores are below the graduate school admission minima. What chances do I have of admission to your graduate program? We may consider applicants with one of the two scores (GPA, GRE) lower than our minima on the basis of particular strengths in their CV, research experience, or letters of reference. In such cases, you may be admitted conditionally under a “Permission to Continue” clause (PTC). A condition will be imposed on the admission, typically requiring to maintain a 3.0 GPA or better in the first 12 credit of graduate work at UA. We also sometimes offer students with lower English proficiency scores than the minimum required conditional language admission. Students with conditional language admission must attend full-time intensive English language instruction at UA’s English Language Institute (ELI) until they achieve adequate proficiency. Hopefully we will be able to get back to you soon after your application is complete, but unfortunately, we are typically unable to specify when the evaluation will be completed. We continuously re-evaluate applications as we make offers and adjust our plans for the incoming class. How do I formally accept your offer of admission? You can simply send an email to Director of Graduate Recruiting, Dr. Marco Bonizzoni (marco.bonizzoni@ua.edu), to inform us of your intention to accept our offer. What are the next steps after I have been admitted to the graduate program? Congratulations! The next formal step will be for us to initiate a background check for employment purposes. You will receive a request to authorize such a check by email at the crimson account that was assigned to you upon application (yourname@crimson.ua.edu, see OIT’s Student Crimson Mail page for instructions). Please note that further official communication from UA will go through that address, so make sure to check it routinely or to forward it to one that you do check. From then on, any questions about enrollment and class selection will be best be directed to Dr. Stephen Woski, our Director of Graduate Studies (swoski@ua.edu). If you have any further questions, feel free to get in touch with Ms. Jennifer Eisenhower (jleisenhower@ua.edu), our program assistant. Is there a deadline to accept offers of admission? In the case of offers for fall admission including financial support, typically the agreed-upon deadline to accept is April 15 (See also Council of Graduate Schools April 15 Resolution); this is quite common nationwide in the US.  If you receive an offer for fall admission from another school, and an earlier deadline than April 15 is specified, but you still would like more time to make a decision and to wait on other schools to which you have applied, you can contact the offering school and mention the Council of Graduate Schools’ “April 15 agreement” to ask for an extension to your deadline. They should be able to accommodate you. Offers for fall admission made later than April 15, or offers for spring and summer admission, typically have much shorter deadlines, as specified in the offer letter. You are always welcome to contact the Director of Graduate Recruiting, Dr. Marco Bonizzoni (marco.bonizzoni@ua.edu), for clarifications on these points. When should I plan to get to Tuscaloosa to start the graduate program? You should typically plan to be in town a week to 10 days in advance of the start of classes for the semester for which you gained admission so you can complete administrative requirements and receive appropriate training for chemical safety and your teaching duties. You can find the relevant semester start dates in the academic calendar maintained by the Office of the Registrar. Please contact the Director of Graduate Studies, Dr. Stephen Woski, with any questions (swoski@ua.edu). What should I include in my CV/résumé for graduate applications? Great resumes for graduate applicants are highly structured (tables/bullet points, running text kept to a minimum), readable, and short (two pages is desirable; more than three is too long). We look for raw information in the CV; explanations and interpretations go in the statement of purpose. general information (name, current address, a good mailing address, gender, email, etc.). educational history in reverse chronological order, starting from the most recent: a list of the institutions attended and corresponding degrees obtained, including years of attendance. This part is particularly valuable because it is often difficult to reconstruct a clear picture of this history from the raw transcripts, especially when the candidate has attended multiple institutions. Also very useful: overall GPA and major GPA for each institution, if appropriate. Some institutions provide their students their ranking/position in their graduating class; together with the GPA, this is also very useful to provide context to evaluate raw scores. research/ internships/work /other professional history in the chemical field. Previous research or work experience in a chemical lab is extremely important to the application and should be well advertised in the CV. awards / recognitions / honors, if any. publications/presentations /other forms of dissemination, if any: listed in reverse chronological order, clearly indicating the type of dissemination (e.g. poster vs. oral presentation vs. paper), in a citation format commonly accepted within the discipline (if in doubt, ask your advisor). Homogeneous font and formatting choices throughout the CV lend it a more “professional” look. CVs (and any other documentation) are best provided as PDF files when possible because these are easy to open on any platform and they retain their original formatting well. Most word processing systems (e.g., Word, Google Docs) can save a file to PDF.